The Torsion Insulated Glove from Mountain Hardwear® is suited for all your winter needs. 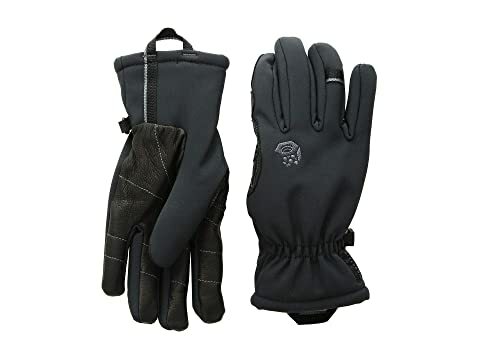 Goat-skin palm and fingers offer water-resistant durability. Nose wipe patch at thumb. Polyester tricot lining insulates heat and wicks away moisture. Carabiner loop to hang gloves when not in use. Webbing loop at wrist for easy on and off. Body: 86% polyester, 14% elastane.